Spend an unforgettable 3 hours on our comfortable air conditioned Mini-bus and get an overview of New Orleans. Then head to the swamps to experience the history and culture of the Creoles with your licensed tour guide, in a tour boat or airboat. No trip to New Orleans would be complete without seeing the highlights of our city and the some of the areas affected by Katrina’s flood waters. This is a must for anyone coming to New Orleans. 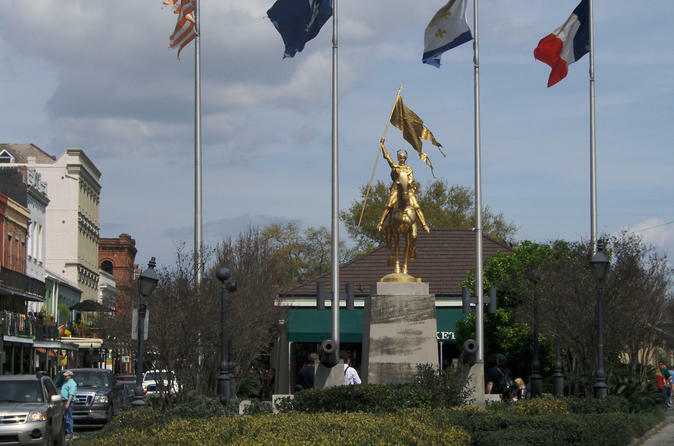 Your City Tour provides an educational and insightful overview of New Orleans by a licensed guide, and focuses on the areas affected by Hurricane Katrina. The tour is conducted on a minibus and the you may stay aboard the vehicle for the duration of the tour. The bus will stop at St Louis Cemetery #3 for approximately 15-20 minutes, to glimpse at the uniqueness of New Orleans above-ground cemeteries. There will also be a 20 minute restroom/snack break in the middle of the tour. Tour times may run longer due to parades, traffic or road restrictions. Next up is the boat portion of your tour, which allows you to tour New Orleans in style, just 35 minutes from the city yet a world apart. If you choose to ride in one of our airboats, hold onto your hat as our air boat tour is a high speed adventure that is part tour and part ride. You will experience an astounding swamp tour and an air boat ride that is quite a thrill. You will travel at high speeds in the air boat then slow down and stop in areas for pictures. Our air boats have stadium seating as well so that the person in front of you does not obstruct your view. So every air boat seat is great for experiencing the tour and viewing the wildlife. You will see gators and they will get close, real close. So close that you will be able to look into their reptilian eyes in awe. If you select the tour boat option, you'll experience a fully narrated tour from captains that are natives of the Barataria Swamps with a backgrounds in gator hunting, fishing and trapping. They will entertain and amaze you with the ecology of the swampland as they have lived the life. Your comfort is guaranteed on our tour boats. They have a roof, restroom facilities, cushioned seats, and windows that can be raised or lowered during cold or rainy weather. There is also plenty of standing and walking room on the boats. These tours are an entertaining, educational and exciting way to see the swamp and it provides you with a relaxing view of our beautiful swamps.